Deb Lawrence has never been one to take the easy route. If a task is time consuming and requires an attention to detail, Lawrence doesn’t shy away. Neither did the women who created the antique fabric Lawrence uses to make her conceptual abstract paintings. It’s not immediately obvious that Lawrence’s paintings have a conceptual bent. Her art seems firmly ensconced in geometric abstraction with their defining lines and blocks of color, alternating with fields of white. Lawrence agrees but also considers her paintings subtle psychological mindscapes with a touch of figuration because of the underpinnings that drive the work. 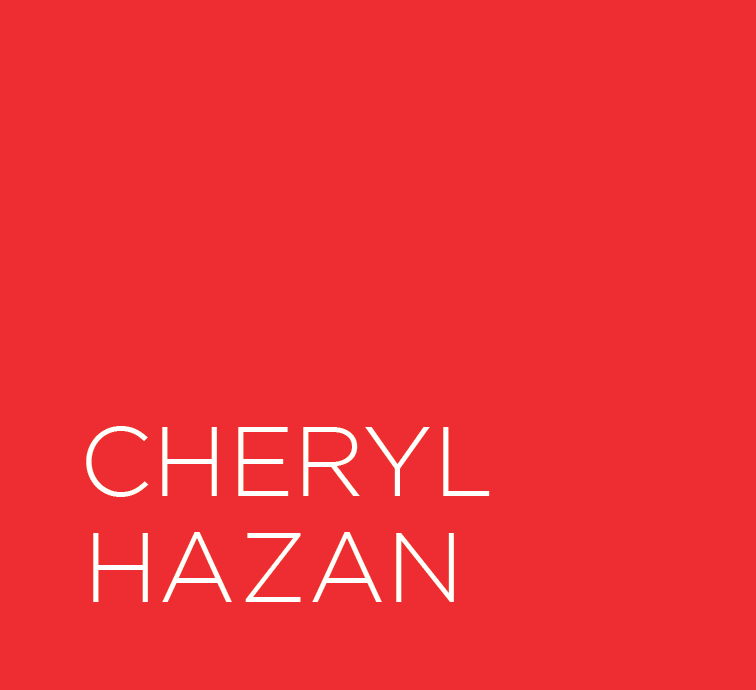 Her work was the subject of a solo show this fall at Cheryl Hazan Gallery in Tribeca in New York City. Lawrence currently has work on view as part of the group show “UNSTRETCHED” through February 18, 2017. Looking at her bold paintings, it’s easy to get swept away by the confident lines that can accentuate distinct spaces, whether the compositions are fully abstract or contain references to nature. But take a step closer and that’s when the paintings really start to shine. It’s the details and textures that offer the unexpected and transform her art into work that’s difficult to forget. Many of the “details” take their cue from the handmade historic fabrics Deb Lawrence uses as canvas. Leading the way is the unique qualities of each cloth, said Lawrence. This could be imperfections (rips, patching, frayed spots), whether the fabric is delicate or sturdy and the implied history surmised by the artist. Her process begins by a careful examination of the antique linen. Lawrence takes the fabric—whether tablecloth, bedsheet, duvet or the like—into her hands and explores the antique textile while imagining the women who labored to make the cloth possible, she said. Celebrating the new link that is about to form between the sewing and weaving work of anonymous women with Lawrence’s own labor as an artist is another quality she infuses into her art. There is satisfaction in the conjoining a continuum of women from an unknown time in history to now. This contemplation is where Lawrence’s paintings truly begins, she said. In making her art, Lawrence works with the fabric in a similar way that the women from history may have stitched or embroidered: by holding the material in their hands while seated. In this method, Lawrence manipulates the fabric to create creases and may also paint sections of the work while seated, she said. When starting a painting, the antique material is first stiffened with three layers of gesso, said Lawrence. Creases are created by hand and become like line drawings when painted to accentuate where the linen has led. When the painting begins in earnest, the material moves to the floor and Lawrence works from above, pulling color onto her brush from pallets laden with layers of paint, creating new colors that are a mix of those that came before and new hues created for the day’s work. The pallets and paint brushes themselves are just as textural as the paintings will become, resulting from the building up of layers to create intriguing variations of colors, said Lawrence, and adds a sculptural element to her work. If the historic cloth is considered a stand in for comforting, the abstract paintings contribute to the psychological cycle by infusing the work with the implication of internal landscapes. These "landscapes" are more mindscapes created by the inner life that everyone has, said Lawrence. Visually, this is demonstrated by creating paintings that share similar compositional elements but remain unique as individual paintings with their own personalities. The choice to make paintings on antique linen has another layer of meaning for Lawrence. In their original use as functional items in a home, it’s possible the coverlet or tablecloth could have also served as an object of comfort. Drawing on the psychological concept of transitional objects and the ways objects may possess continued meaning throughout a person’s life, the antique fabrics become contemporary symbols for the ways people soothe themselves through the comfort of a beloved item (like a child’s security blanket, for example), said Lawrence. While the ideas and concepts that contribute to the artist’s process are complex and multi-layered, looking at the art is an easy experience. From afar, the compositions are the strongest siren. The closer one approaches the work, the closer viewers like to become. From this proximity, the unexpected intimate aspects of the paintings begin to reveal. Paintings may contain hills and valleys, pools of built up color that seem to ebb and flow, tiny stitching to accentuate embroidered details and maybe even a mysterious set of numbers written on the art. (The experience of viewing Deb Lawrence's paintings can't be replicated online. The art is flattened and loses its dimensionality and sculptural strengths when seen on a computer or portal device. The details are nearly impossible to see virtually as well). When examining the work up close, another aspect of Lawrence’s paintings is discovered: many of the paintings are suspended within their frames so they undulate with the air currents. To allow the painting to incorporate natural motion, the lower part of the paintings remain unfastened. This quality also allows the fabric to retain some of its original tendencies to gather in the way draperies might when suspended from a curtain rod. Taken together, Lawrence's process and intentions result in paintings that have life, personalities and speak to the experience of being human. Lawrence’s solo show at Cheryl Hazan Gallery, “Deb Lawrence: Uneven Edges” (October 25 to December 3, 2016) featured mostly large scale works that were primarily monochromatic and rendered in neutral tones of beige or faded blacks. The gallery show did hold some hints to the future: the advent of strong color. Deb Lawrence works every day from her studio located outside of Philadelphia. While her solo show was on view, Lawrence started connecting to the energy of uncertain times. Soon, deep blues and vivid greens began to join previous paintings of initial color that made use of yellows, red and denim blues. In a nod to this burst of color, Cheryl Hazan Gallery installed a series of Lawrence’s brand new paintings as part of the group show, “UNSTRETCHED,” that is meant to celebrate New York Fashion Week. “UNSTRETCHED” presents art that rejects conventional framing modalities in favor of an exploration of form and perspective that pushes art in a new direction. Lawrence’s art, like many of the other works on view, marries the conceptual with a physical form that encourages counterpoints in conversation and re-evaluates the notion of space in art. Both exhibitions allowed for an extensive look at Deb Lawrence’s art and revealed dualities that inform Lawrence’s approach to her work. Some paintings are made as a formal series; others seem to be part of a series as they closely relate in color or temperament. Instead, these works are distinct paintings that share characteristics, much like siblings, born from the fact the art was made simultaneously. Paintings can also reflect on a single emotion or explore broadly to reveal a fuller psychological landscape. Vivid color or neutral palettes are used liberally and reflect Lawrence’s investigation of internal or external explorations. All of the paintings are distinctly Deb Lawrence: linked through history, linen, psychological exploration and a love of painting that pushes boundaries.